A well-organized 6 pages case study published by Best Management Practices illustrating using ITIL and PRINCE2 together in setting up a service desk in an offshore site. Current service desk was reaching capacity and expansion in the current location was not physically possible or cost-effective. The new service desk should follow ITIL procedures. The case study is very realistic, easy to understand, relate to and written in a very simple language. 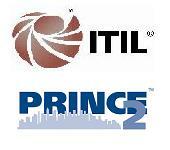 The case study illustrates how PRINCE2 supports ITIL and vice versa. Focusing on required business outcomes is a core concept in ITIL. This is clearly realized in Prince2 by continuously referring to the business case for business justification through the project. Focusing on the business justifications guarantees that no scope creep is passed, even if changes look very luring. The temptation of having disaster recovery is given as an example of gold plating as having the increase of capacity as the main focus in the project mandate and business case. However this does not mean that the opportunity should be missed, but as per Prince2 the project manager is not entitled to decide, he should make sure that the board is aware of the opportunity and move forward with the implementation. I believe, the writer did a very good job in illustrating how PRINCE2 focus on the business justification supports the implementation of ITIL which continuously focus on business outcomes. This section is not detailed enough. I believe . Though it illustrates how the V-Model in the implementation of the Service Operations is translated into management by stages . No examples or challenges were provided. Emphasis on lesson learned ensures successful implementation. Lesson learned can be extracted from different sources including previous failures, external organizations and the project itself.Lesson learned are fed into the ITIL “Continual Improvement Program” as process improvements which can be implemented in the future.A very good benefit of lesson learned is ensuring that all the potential costs were accounted upfront. The relation is very well introduced, illustrated and makes great sense. Risk management helps capturing all opportunities and threads in the project. PRINCE2 emphasis on identifying and assessing risks helps the CAB (Change Advisory Board) in their decisions as part of ITIL change management. The relation is very realistic and practical, however I believe it could have been empowered with some examples. Though the case study identified important aspects of the relation and integration points, I believe some were over looked or not explicitly mentioned. For example the output of PRINCE2 Identifying Follow-on Actions and Project Evaluation Review should be fed into the Continual Improvement Program. Service Strategy and Service Design help to generate a very clear project mandate. The scope and the success criteria tend to be clearly thought of and documented. Which saves a lot of time in starting up a project.Also, ITIL also make it easier to define the project board. However the “how” is not clear in the case study. ITIL terminology make it easier to communicate. Problem, incident, request fulfillment and other terms all mean the same thing to all project team members. In the case study project, ITIL helped in defining quality definitions which used by PRINCE2 as quality criteria. Another important aspect of communication that is secured through ITIL is the clear definition of job description of each service desk staff. ITIL helped the project manager and the team to focus on the big picture. Balancing quality and cost in ITIL is extremely useful as a reminder to take a step backward and weigh up quality improvements against the bigger picture. ITIL’s constant balancing act of quality versus cost fitted the bill perfectly. ITIL helped make sure that the project team only had the most important change requests. ITIL through transition of new services guarantees a smooth transition of new services without affecting the existing performance. So even if the project is successful there will always be an anxiety within team members of affecting the performance of existing setup . ITIL transition practices plug the gap, according to the author.ITIL also helped to keep an eye of the benefit realization that will come from the end product as the project it self is usually concerned with the project itself. benefits start after the project is completed. Personally, I believe this is true, however it does not mean having a real gap in PRINCE2. PRINCE2 clearly states that benefit realization is something out side the project scope. Still, PRINCE2 has the process of Identifying follow-on actions which includes plans for benefit realization. I believe it is not filling a gap as much as taking care of the identified follow-on actions. ITIL introduces a big no of stake holders which i an over kill to any project.again I am not really sure – as much as the author – if this issue is an ITIL issue or it’s in the implementation. I believe In all cases,this point could have been enriched with examples to illustrate the idea.